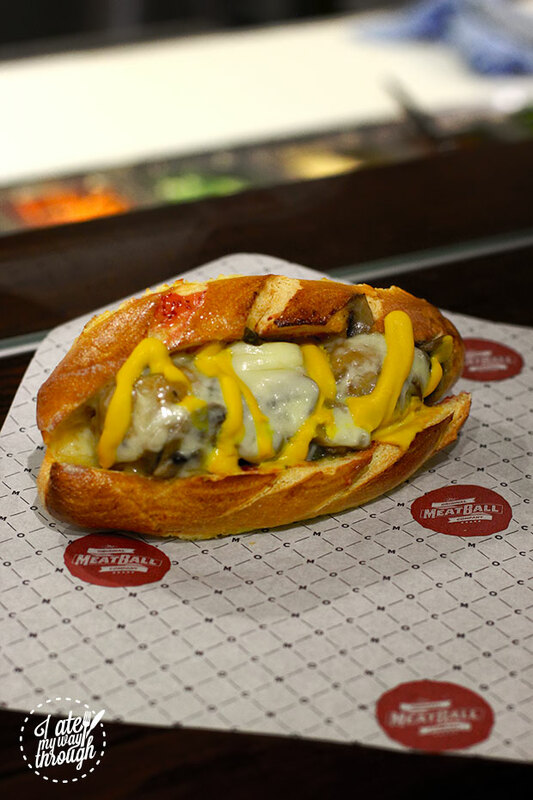 Home Fast Food The Original Meatball Company + Get a Free Meatball Lunch! Variations of meatballs seem to present in every culture – from the Indonesian Bawang Kepiting, a meatball made from flower crab and pork, to the Swedish Svenska Köttbullar, a meatball made from pork and veal. It makes sense from a historical sense – meatballs are traditionally a great way to use up off cuts of meat, minced and sometimes bound with other ingredients such as breadcrumbs, and flavoured with a variety of seasoning and spices. 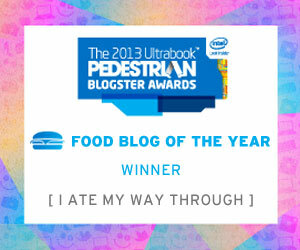 But meatballs have come a long way since then, and have been elevated to gourmet status. And that’s what Original Meatball Company is aiming to achieve. Inspired by founders’ Dominic Lopresti – former joint CEO of Gelatissimo – and Jay Lyon’s time spent in New York, they’ve teamed up with ex-executive chef of Otto Restorante James Kidman to create their range of meatball based dishes. I got a chance to try a few dishes off the menu – I chose The Swedish-Ja, and The Yankee. 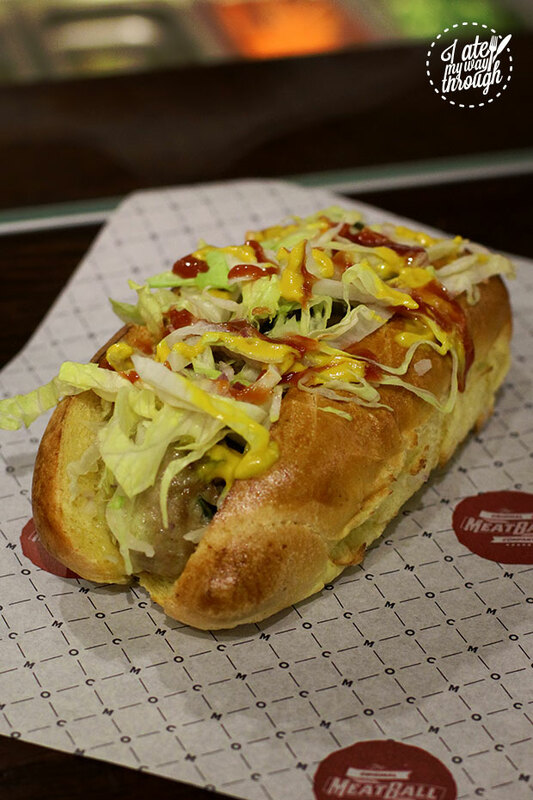 The Yankee reminded me instantly of a cheeseburger – meatballs sat in a buttery brioche roll, topped with fresh lettuce, mustard, ketchup and pickles. The Swedish-Ja (pictured above) took a Swedish classic – pork and veal meatballs with gravy and lingonberry jam – and packaged it in an eat-on-the-go package of brioche bun, and melted cheese over the top. Of the sides, they had Rosemary Fries and Poutine Fries that caught my attention. I just had to order the Poutine Fries of course – this variation had a base of rosemary seasoned fries topped with a ragout and a creamy cheese sauce. The addition of caramelised onions came highly recommended, so naturally I got that too. This poutine was much lighter than the poutine that I’ve been used to – a Canadian heart stopper featuring a base of hot chips topped with a thick gravy and cheese curds. Nonetheless, it’s a great way to lighten up a naughty favourite, even though the portion size makes it more a main of its own, then a side. To lighten up the mains menu, they even had a ball made out of fish! Contrary to my experience with fish balls – the bouncy balls of white fish meat that has been salted and cured; omnipresent in Asian cuisine – these were tender and soft. The bright yellow colour comes from a dash of turmeric, which seems to be a slightly more aesthetic decision than a flavour one. Made with the belly meat of barramundi – my favourite part of any fish – these were an interesting way to provide the option of fish for people who are seafood fans. 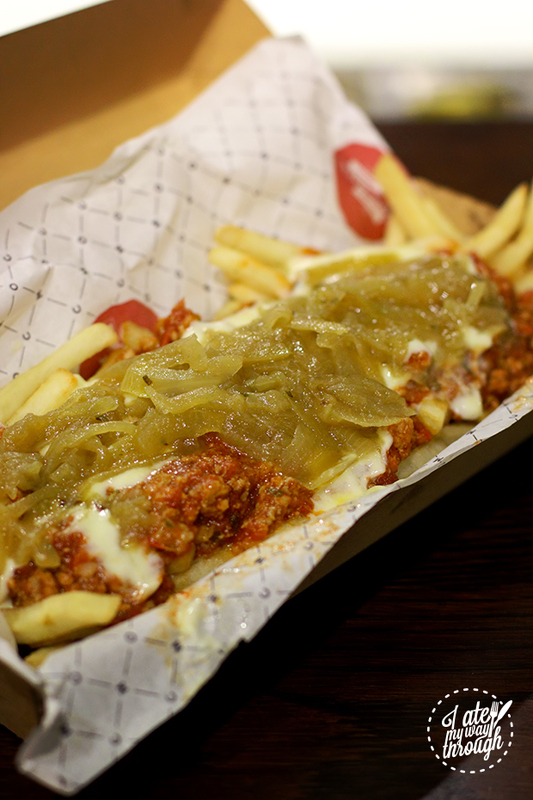 I think that their fast-dining system provides busy CBD Sydney-siders another quick options for busy lunches, and I really love the thought that went into creating a sense of variety and quality whilst controlling waste – the enemy of any eatery with many options. While tasty and quick to eat, these meatballs – together with the bun and toppings – can be quite a mouthful. The Yankee for example, while delightful, was a particularly messy one. Of course, there are the salad options (I didn’t try those because I unfortunately, unlike a cow, only have one stomach) for those of you who would like something lighter. 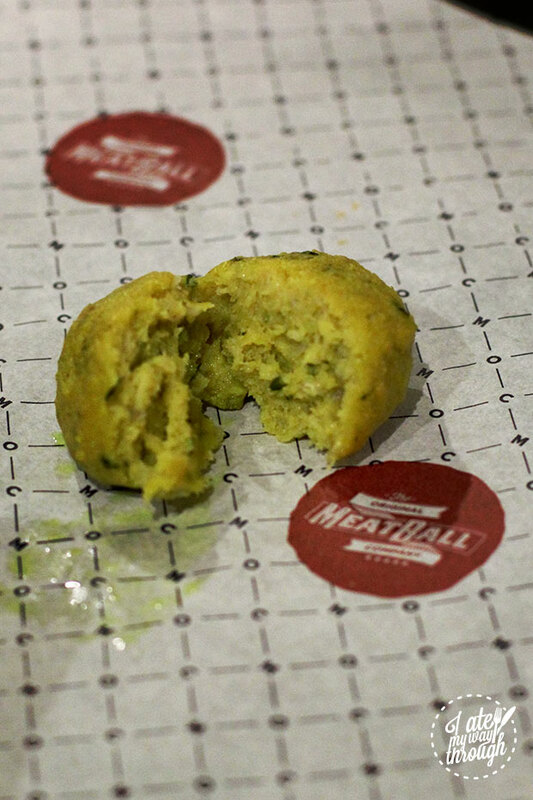 If you’d like to try some of these yourself, they’re giving away a free meatball lunch tomorrow 11am – 3pm (Tuesday, 1st of July)! The lunch will include a selection of Meatball Heroes (Balls on a Bun) or a Salad Bowl (Balls on a green), fries and drink. All you have to do to redeem the offer is to simply download their Loyal Ballers app and scan the barcode upon arrival! Look out for their weekly specials too – I’ve heard that the first week is going to feature duck balls, with toppings like hoisin sauce!